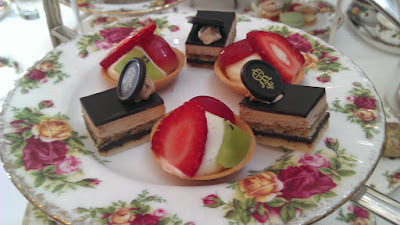 I belong to a women's professional interest group at work, we have regular off sites and recently went to The Tea Room at the top of the Queen Victoria Building in the Sydney CBD. Quite frankly this was one of the best work events I've ever been to. It had the right air of elegance without feeling stuffy, the food was delicious and the environment fun... and just a bit girly. 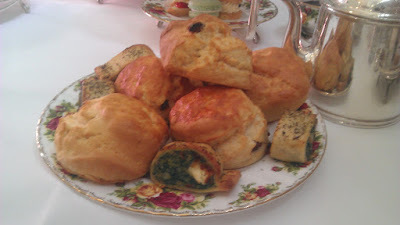 If you're not from the Commonwealth then formal Afternoon Tea may be a bit of a mystery to you but it is generally a very formal affair, finger food and hot tea with elegant place settings. Small sandwiches usually appear along with sweets and savouries such as hot pastries. Here you can see the tableau in all its glory complete with porcelain crockery and silver tea vessels. Such a formal affair in a grand setting and with high quality place settings isn't the cheapest of trips out. 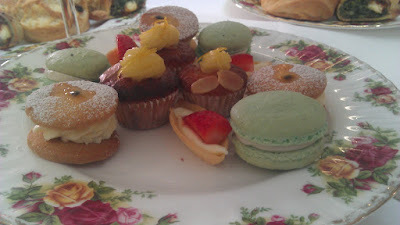 A traditional afternoon tea is $43 per person, pricier options include alcohol such as cocktails or champagne; perfect for a wedding shower or other family celebration. The cost includes a choice of high quality blended teas brewed in the traditional fashion and 'all you can eat' food. We did not make it through what was served to us however they kept offering additional sandwiches or hot dishes if needed. 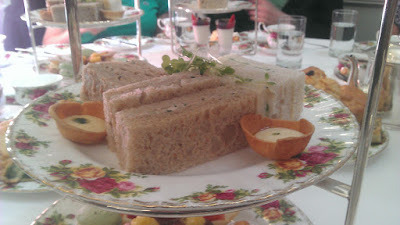 Afternoon tea is delicious on its own and this was beautiful food and beautiful tea in a gorgeous setting but what made this so spectacular was how accomodating they were. 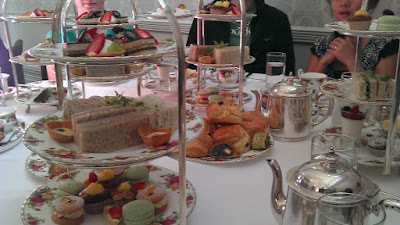 For a large party (10+) they offered us a discount and pre-arranged preferences for tea and food. More impressively they catered to all the food requirements of a difficult group. With dairy free, gluten free and nut free all at the table they managed to feed all of us to bursting satisfaction. They even provided gluten free bread and pastries rather than just replacing with milk or fruit products as is so often the case. The fact that so many in the group had separate allergies was not so much as commented on, they just ensured that we had well marked well appointed stands that were separate for the allergy sufferers. Bravo. All in all a fantastic experience and just wonderful for a celebration, particularly for those who are unable or uninterested in drinking alcohol. For a mixed group with so many food issues there are almost no better places to go in Sydney. 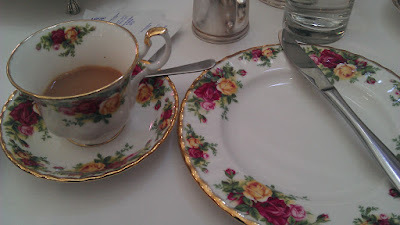 I loved the tea set. Recently attended my friend’s bridal shower at one of wedding venues. Her mom made the entire party really enjoyable. Her ideas were simply great and astonishing. Liked everything there and had fun too.